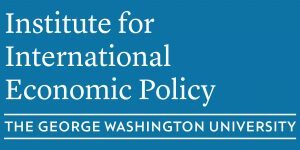 The Institute for International Economic Policy and the Growth Dialogue cordially invite you to participate in a Ministerial Dialogue at the time of the Spring Meetings of the IMF/World Bank. 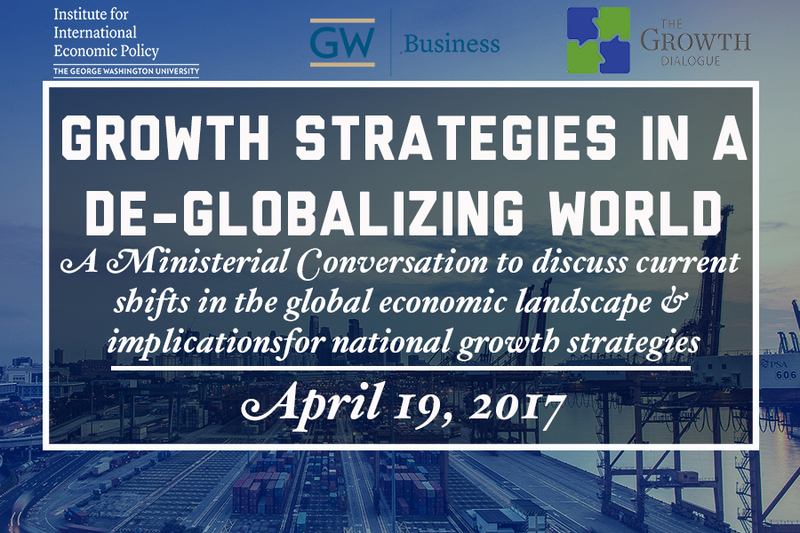 The conversation, to be chaired by Danny Leipziger, Prof. of International Business and International Affairs, George Washington University and Managing Director of the Growth Dialogue, will focus on the impact of current shifts in the global economic landscape and their implications for national growth strategies. The event will be followed by a reception at the City View Room from 5:30pm to 7:00pm.